Building a brand new website – whether you’re selling a product or providing an experience – can be an exciting time. Millions of people have tried to reach out to the rest of the world via their websites, with varying levels of success. After all of your hard work and dedication, it can be all too easy to view your website differently than the masses might see it. As such, mistakes are made and some of these mistakes can cost you visitors and success. In order to avoid some of the more common new website mistakes, we’ve put together a list of pitfalls you’ll want to avoid or rectify quickly. 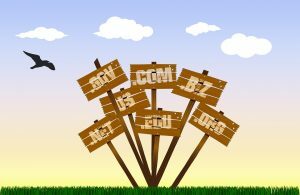 Perhaps the earliest and most fatal mistake of them all, picking a bad domain name can spell doom for your brand from the very beginning. Ultimately, brands rely on brand recognition and marketing to earn substantial profits; if your domain name isn’t easily memorable or lacks a certain simplicity, then you’re likely pinging noise at people on search engines and social media. While nobody is going to instinctively know your domain name before they’ve heard of you, your domain name should be chosen with the goal of being something anybody can remember after visiting one time. This can help reinforce both loyal customers and brand recognition. It has never been easier to design and configure a website for a worldwide audience. Unfortunately, being able to easily setup a website doesn’t mean that it’s easy to design a successful website. All too many who are new to online brands fail to deliver when it comes to various design elements. Their websites may look great but lack functionality, or vice-versa. Balancing the two is absolutely essential for long-term success – and may require more than a simple free or premium WordPress template. When designing a new website, you need to consider not only what users expect, but what search engines require. Building a website that balances user friendliness with SEO compatibility can be challenging; you need to make it easy to use but also functional in a technical sense. Some web designs will ultimately run head-first into problems when it comes to optimizing for search engines. From thinking Flash was an aesthetically good idea to minimizing the room for content in certain elements, these can all be pains in your rear when it comes time to take your website’s SEO to the next level. Last but not least, many new websites fail to design a solution that works well on mobile phones, tablets, laptops and desktops alike. In order to get the most out of each visit from a user, you need a mobile responsive design; these designs will make sure the website looks as intended on any and all devices. Otherwise, you may end up pinging noise at users who are browsing your site on their tablets or mobile phones; poorly-formatted pages do not make for persuasive entities. There are so many mistakes new websites can make. From designing websites that provide poor experiences to ignoring the long-term needs of SEO, these can be disastrous for brands wishing to build their online reputations. Ultimately, the four big mistakes outlined above are the most common causes of failed experiences for new websites; by avoiding them, you’ll increase your chances of success.